A deposed duke and gifted magician named Prospero, his teenage daughter, a talented sprite, and a half-human monster live in exile on an enchanted island. 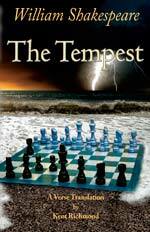 Follow their adventures as Prospero engineers a plan to get back his dukedom and find a suitor for his daughter. Enjoy The Tempest, Shakespeare's contribution to musical theatre, in a modern language version that recreates line-by-line the magic of Shakespeare’s verse. Your comprehension will increase, yet you will feel you are reading a work of literature, one with the complexity and richness of the original. 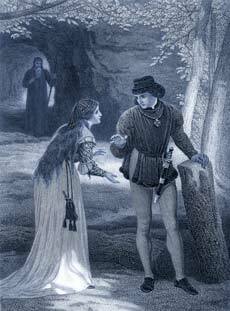 To keep the feel of Shakespeare, Kent Richmond's translation uses blank verse, prose, rhyme, or song whenever Shakespeare does. The language is more modern yet the size of the vocabulary matches Shakespeare’s original. You will soon forget that you are reading a translation. Sounds, and sweet tunes that give delight and hurt not. And beg to dream again. This is turning into a splendid kingdom, where music fills my court for free.